Beausoleil Restaurant and Bar features contemporary Louisiana cuisine in a casual neighborhood bistro environment. With an extensive wine list, specialty cocktails, and a delicious menu with local ingredients, you can’t go wrong. Come and visit us in our dining room or book a private room for a special event! 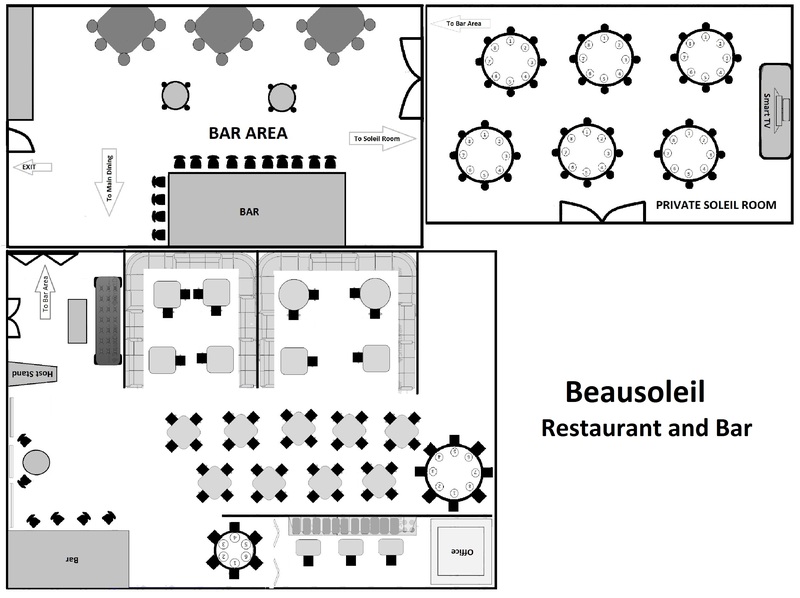 Description Beausoleil's main dining room seats up to 90 guests. It also features our Wine Room with closing doors which is perfect for a small private dining experience. The private Soleil Room can accommodate up to 48 people seated. Our new Bar Area with a custom bar is available for private use as well.